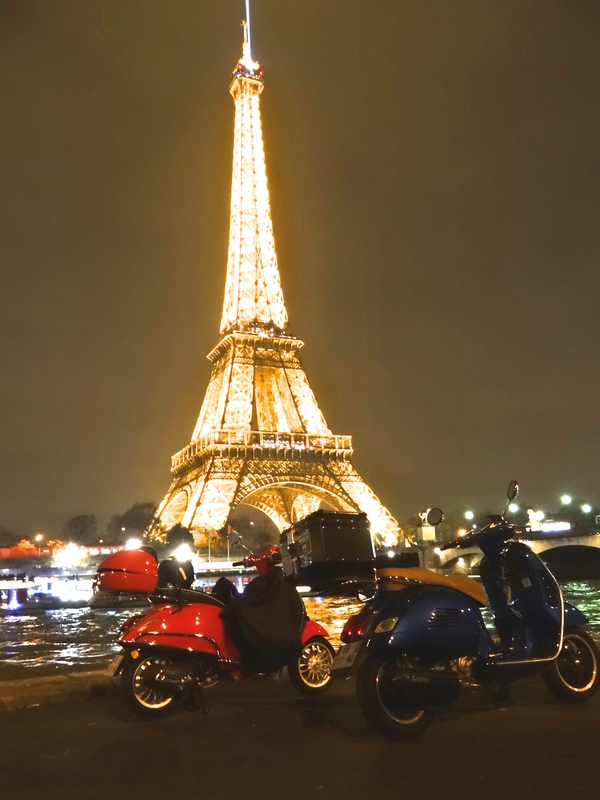 I am now convinced that the best way to explore and see Paris is by Vespa Tour. Paris is a HUGE city, and it is spread out over many km – on both the left and right bank of the River Seine. It takes days and days to even really see all the highlights if you use public transport etc. So how in the world can we get to see it all? In a nutshell, we can’t – but we want to go exploring, plus we have a list of things we would love to see whilst we are in Paris. 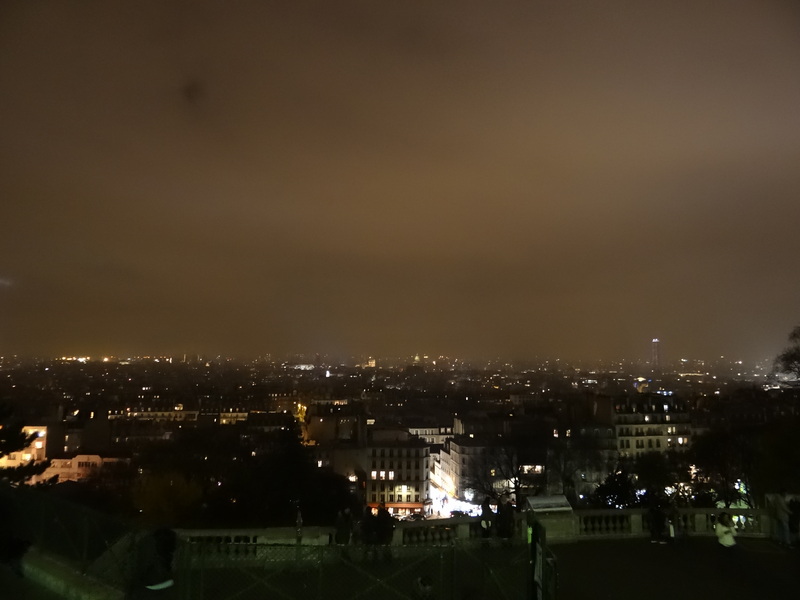 We’ve been in Paris for a week now, and I feel like we have hardly achieved seeing very much at all. So I am glad we have booked a tour. 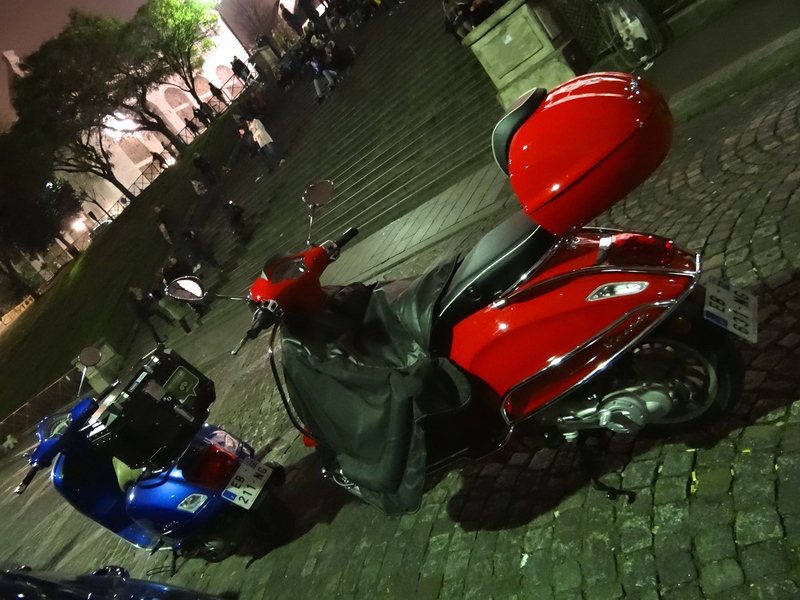 Why choose a Vespa Tour? Taking the Metro (train) is fine by day, but we don’t want to do this at night, and some stations close early, like the one beside the Eiffel Tower. I don’t want to be walking the streets late at night with a child. And tour buses won’t customize a tour for us. Then there is the Hop-on, Hop-off Buses, where folks have to wait (if you get off) for the next bus. This can take days to explore a city if you wish to walk around when you get to the iconic sites. 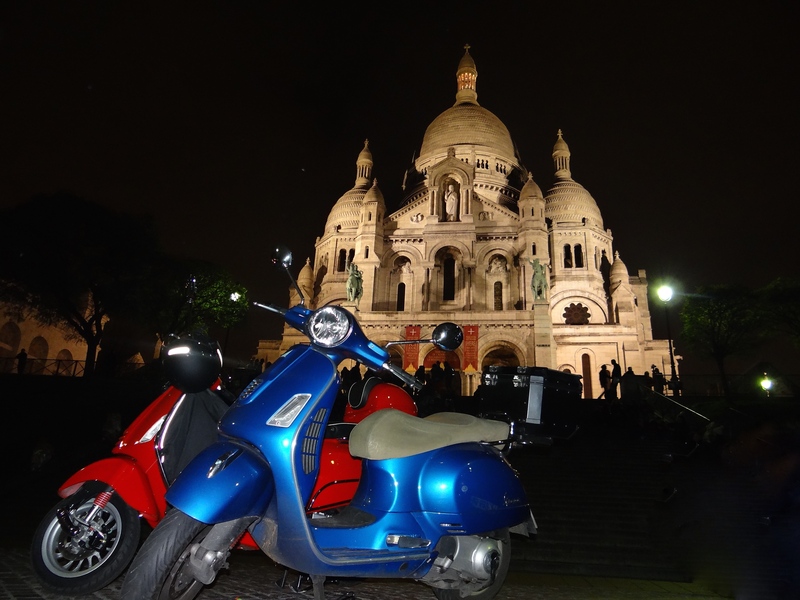 So we contacted Ride’N’Smile Paris and talk to them about a personalized Vespa Tour. 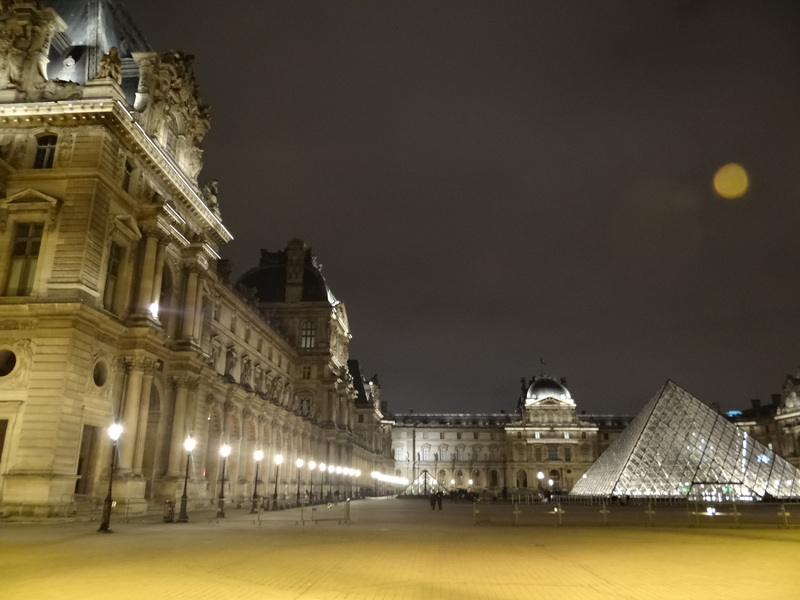 Not only do we want to see Paris in all her glory at night, but we want to see how the major tourist attractions ‘glow in the moonlight’ of the clear evening sky. And we want to see all the Christmas street lights and store decorations too. We decide this is our big Saturday night out in Paris. We are met by our fun tour guide Tom, and once I’ve completed the form with Driver’s Licence ID etc, he explains how to ride this Vespa, and we prepare to go. He has brought different thickness driving gloves and we have donned out ski parka jackets which are snuggly and warm. We’ve already arranged the size helmet he is to bring us each too. I also have like a blanket skirt on my Vespa and this keeps my legs toasty and warm. A shiny Vespa awaits us. Outside of our accommodation, we stand on the pavement in the safety of the street corner, whilst Tom helps arrange all our things into the storage compartments. I’ve only brought my small camera, but there would have been room for the larger one had I needed it. So I wrap it in my scarf and beanie and lock it away – it is nice and safe. 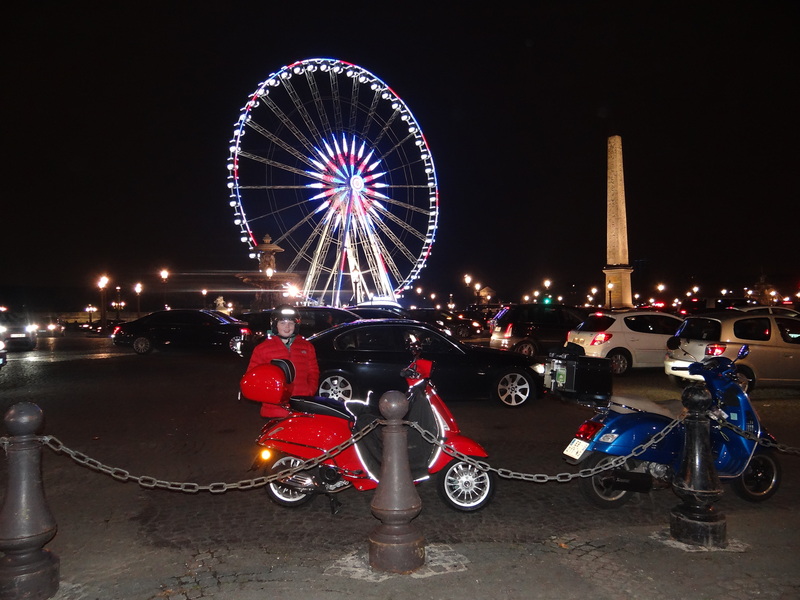 ©Exploramum and Explorason – Ride’N’Smile Paris – We park right out the front! 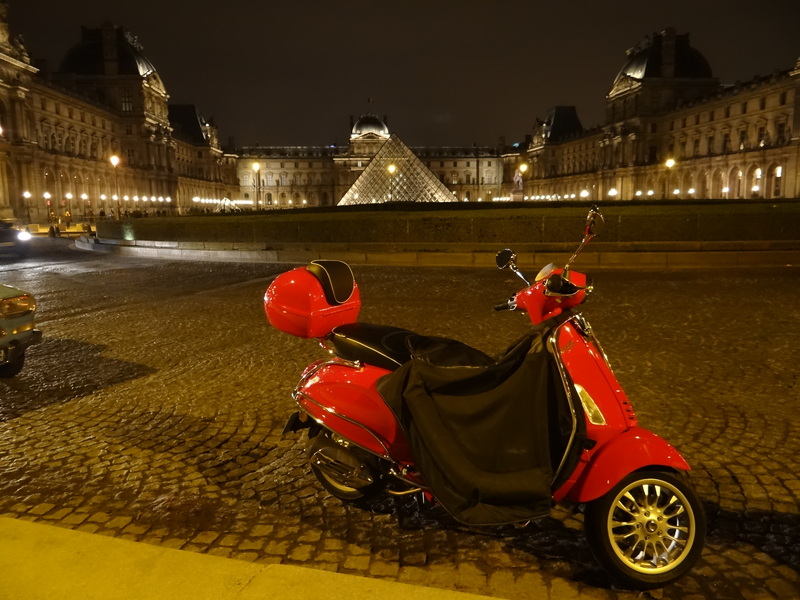 We’ve selected 8:00 pm Saturday night as our departure time, because not only is the city gorgeous, but the traffic is not as hectic at this time (so Ride’N’Smile Paris have informed us). 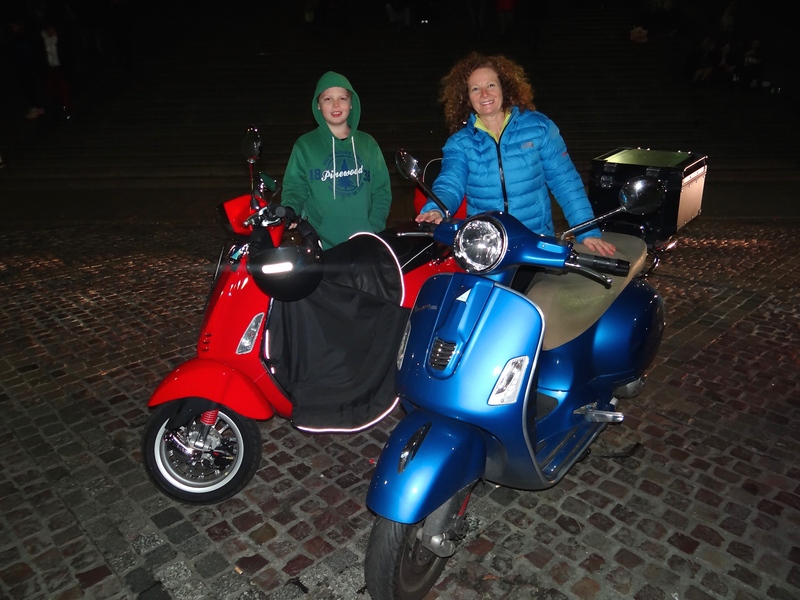 Tom – our Guide helps us onto the Vespa for the first time and helps us rock it off the stand, and we are OFF! I thought of busy travelers that might only have a day or a few in Paris. I love the way this tour company was able to fit into our schedule. My biggest regret (after doing this tour) was not having booked it for earlier in our time in Paris. It gave me a sense of direction and understanding of the city that I have not had before. We also passed locations that I’d like to go back to visit, but because we are near the end of our time in Paris we might miss this. I also discovered places that were literally ‘just around the corner’ from where we had been, and we had missed these but the tour allowed us to find them. I confess. I am nervous, but I can’t get the smile off my face because I’m excited too. We head first to the Eiffel Tower, however, our guide knows a secret secluded spot that is perfect for a photo and we head down to the River Seine. I’ve worn the wrong boots. They have no grip, and this is a bit of a nightmare on the cobblestone roads, especially if there are autumn leaves, so inform our guide and he makes sure we glide to our stops wherever possible. The maximum speed limit is 45 kph, but with the Paris traffic we don’t feel the need to go this fast, and this is not a tour for speed-demons and those who want to muck about. And because we are on a Vespa, we get to see all the city at a leisurely pace. Especially the Christmas street lights! Oh, they were so pretty! Tom is very interesting as a guide. Not boring, and at times funny, and a very kind person. He would stop and show us the first place Cubism was discovered by Picasso in a little back studio. 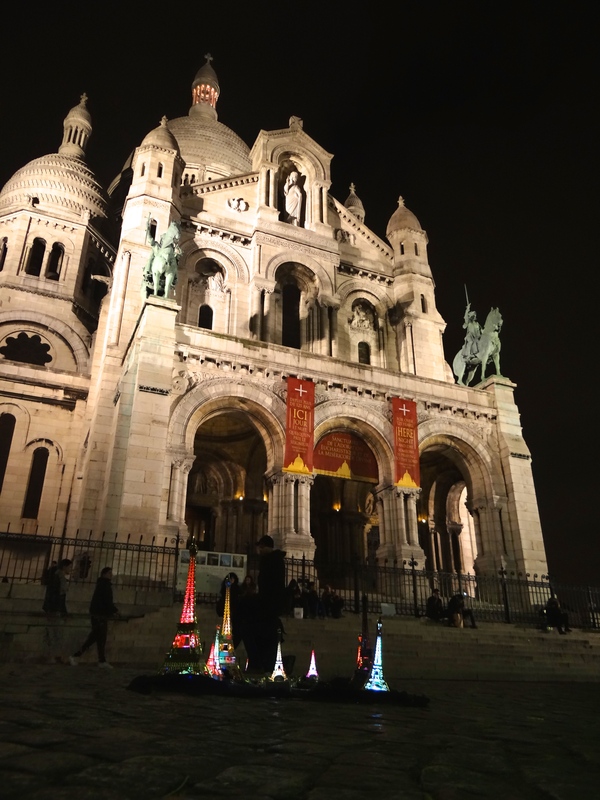 He would ask Explorason about the age of buildings like Sacre-Coeur vs Notre-Dame and give him information that suited his age and world-schooling level. 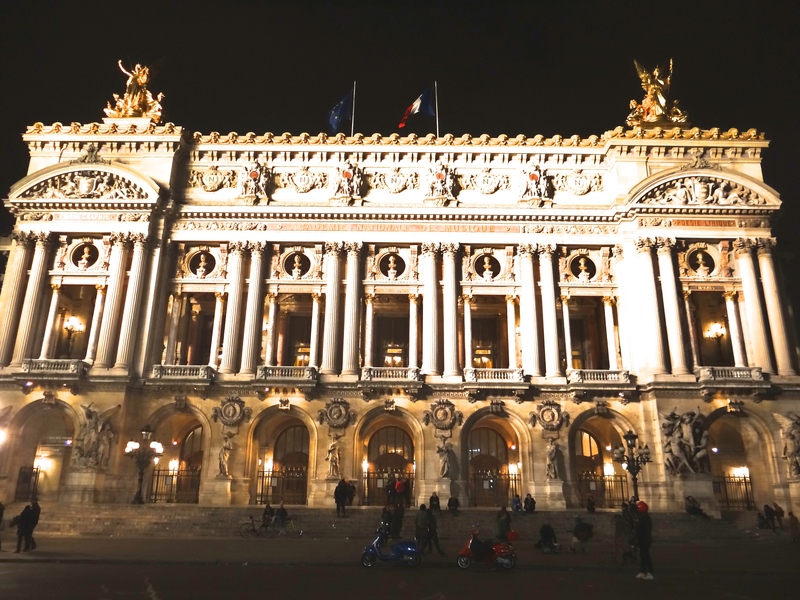 He explained about the Opera House, The Louvre, and so much more. 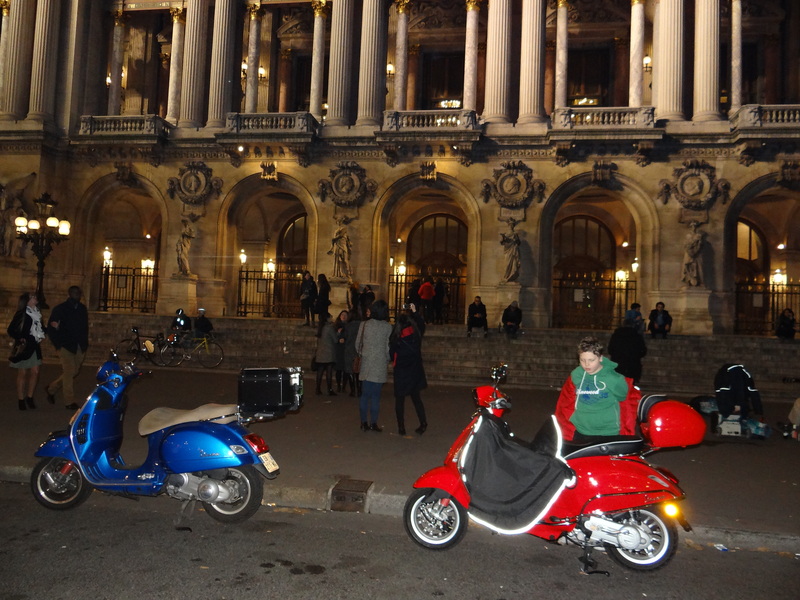 Each time we stop, Tom comes straight over and holds the Vespa, whilst Explorason and I disembark. He removes the keys, and unlocks our storage compartment and keeps an eye on our things, and the Vespa so all is nice and safe. He even moves them when we get off (if my parking is not so flash, or) if I would like a better photograph – this little top service I think! Tom also assisted with taking our photo on numerous occasions too. I loved the fact that we could meander through the back narrow streets – places a tour bus never could get to. 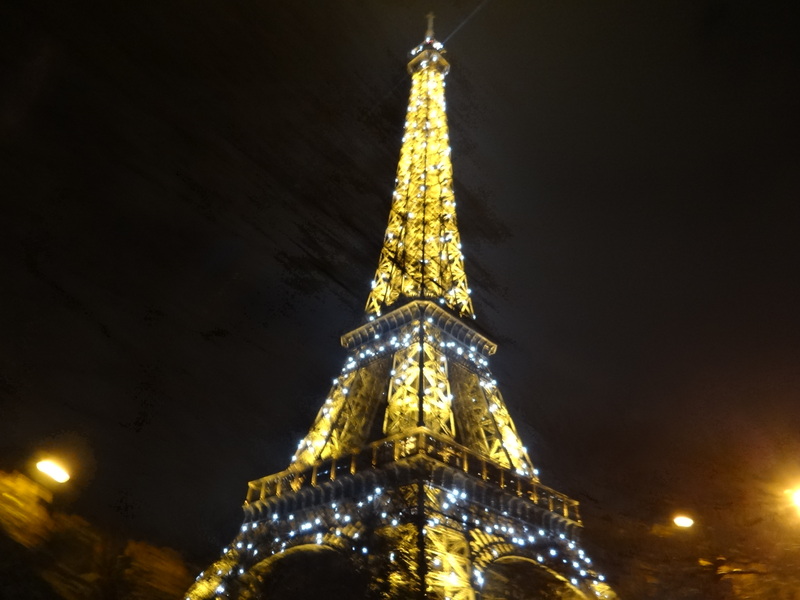 When we arrived at the River Seine to take the photo of the Tour Eiffel, it was like a magical secret place. Explorason sat by the water’s edge, and drank in the ambiance. He has had a love for Paris since he was 3 years old. At times I felt like I was ‘in the scene’ of a Parisian-set Movie and movie images flashed before my very eyes, but this was no movie, we were really here! 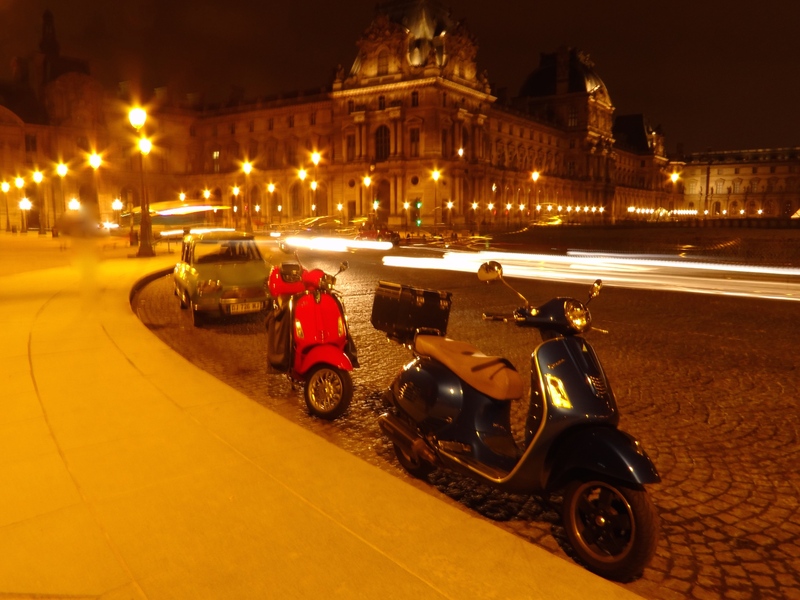 I think it would be a grand idea to watch a Hollywood movie about Paris before coming on a Vespa Tour. I think the thing I loved the most was that we could ask our guide to stop at places that were special to us. He would then park right out the front of them. We would arrive beneath the Eiffel Tower, weave through one way streets to appear outside of the steps of Sacre-Coeur / Montmartre, and next the Opera House would behold us as we turned a corner and we would park there, or we’d emerge from a tunnel-like entrance to be right opposite the Pyramid at the Louvre – this was just incredible! Explorason was able to stretch his legs which were weary from walking the Champs Elysees Christmas Market earlier that day. 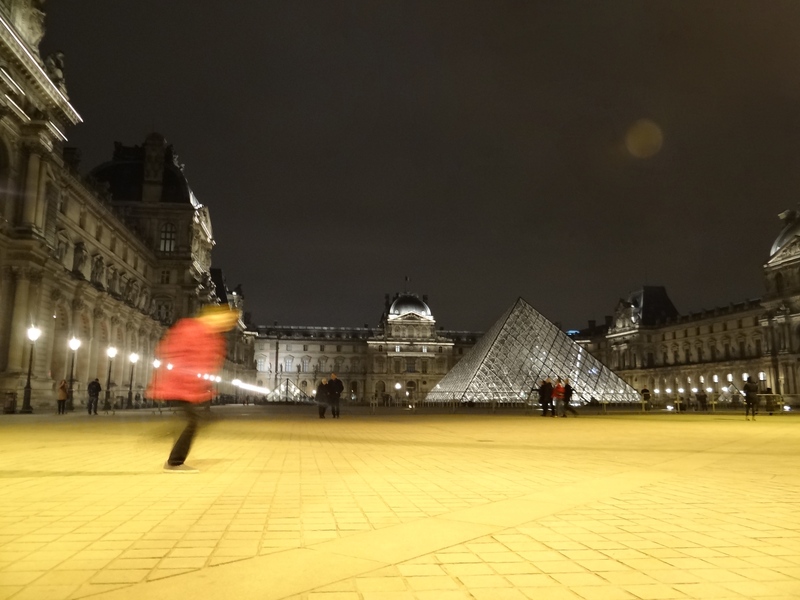 He was able to run around the Pyramid area – it was late at night and I captured the above photo I just adore. What do you think? 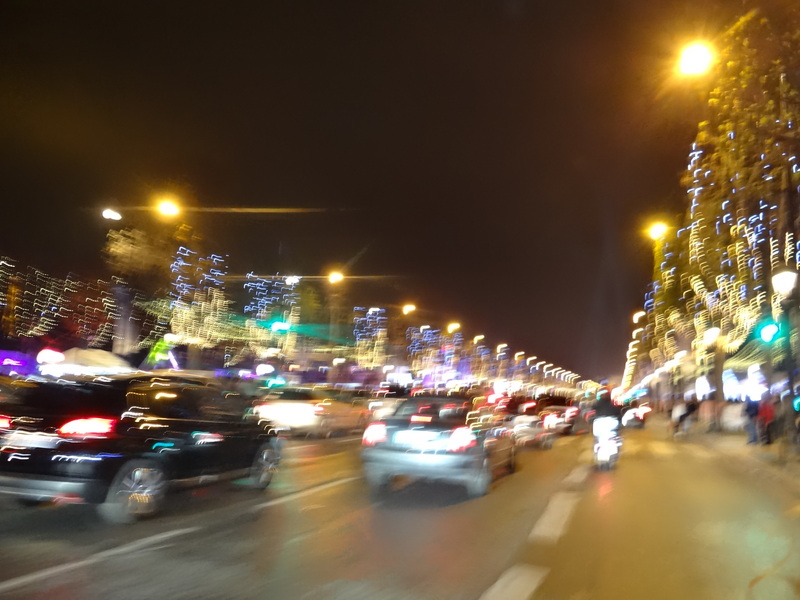 One of the favorite times for me was when we rode down Champs-Elysees and other avenues that were decorated with Christmas lights. It is a bit of a blurry photo because Explorason clicked it as we rode along! The Christmas Markets were on, and at the end was The Big Wheel illuminated in Red, White and Blue French colors (also the colors of the Australian flag). Because we were on Vespa’s. Maneuvering our way through the traffic, we progress much faster than cars or tour buses that just sat in the rows of night traffic. Our guide timed it perfectly so we could finish our night at the Eiffel Tower. This tower sparkles on the hour each evening, and it was so pretty to see. At 11:00 p.m. We arrived in perfect timing to see this. 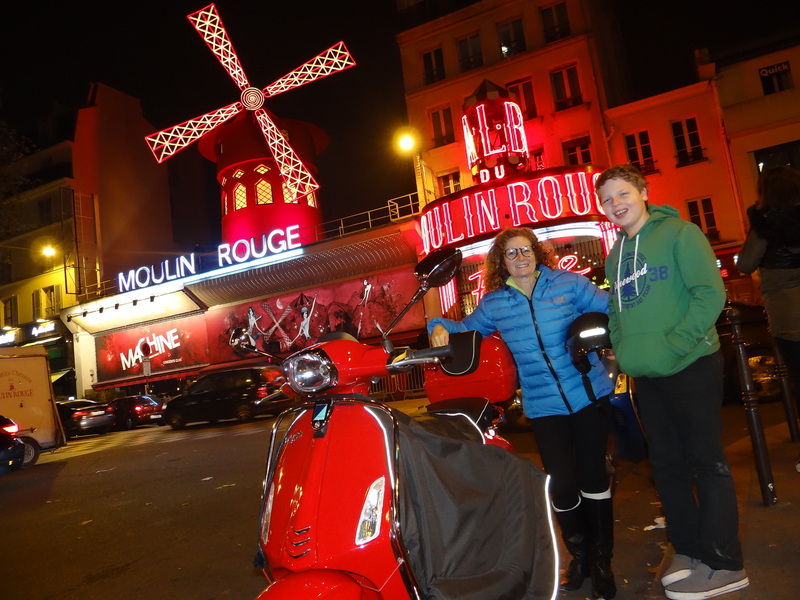 If you’d like to book a Smile’N’Ride Paris Tour we will offer you a 5€ discount at checkout. enter the promo code in the “Promo code?” field just before entering their payment details. Also, you can include the code in the conversation if they want to book by mail or phone to get the discount. 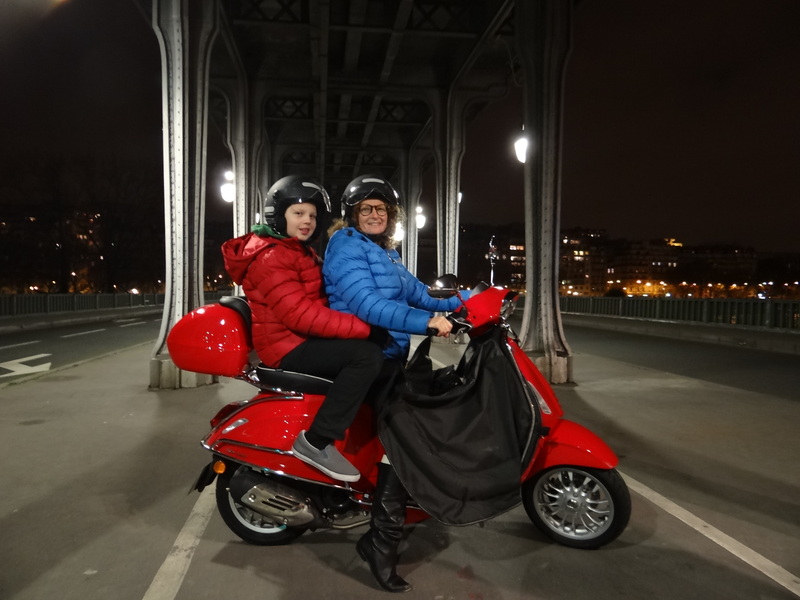 If there is nothing else you do in Paris, I’d suggest you book this Vespa tour. For us, it was the highlight of our time here in Paris. What is a Lovo ?